Our culture is rather awash in Kool-Aid. Not the literal kind, although there is a fair amount of that too. My concern at the moment is the figurative kind, the kind where “drinking the Kool-Aid” means falling in love with some insular conviction. In the case of calories and your kids, and the interactions between the two, there are apparently two competing flavors. The FDA, arguably, is serving one. By requiring that calories be posted on chain restaurant menus and on foods served in public places such as movie theaters, the FDA is clearly suggesting that awareness of calorie content is helpful. 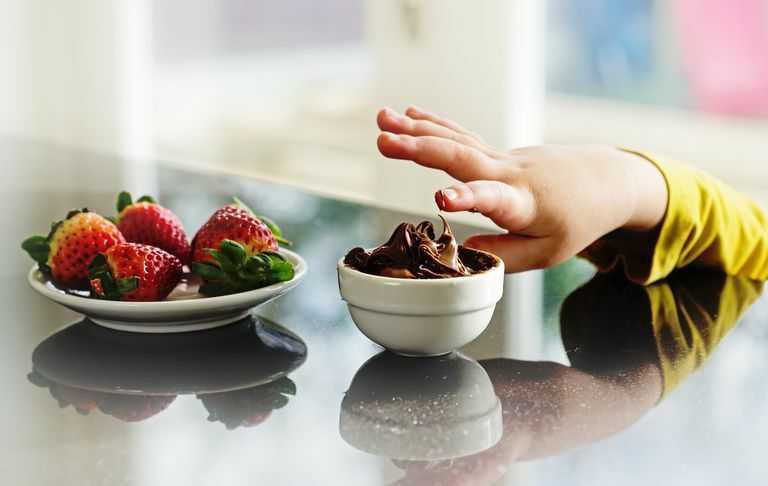 Accurate information about calories, replacing the cluelessness calorie content that most relevant research indicates prevails in our culture, could indeed help parents choose lower-calorie items or smaller portions. That, in turn, could help support salutary energy balance, and weight control. The competing conviction is that calories are irrelevant. At the extreme, this argument— propagated in both pop-culture writing and the peer-reviewed literature—suggests that a calorie is not a calorie, and that attention to calories is an exercise in futility. My recommendation is that you drink neither variety of this particular Kool-Aid, whatever the calorie content. Yes, a calorie is a calorie. Yes, calories count. But yes, focusing preferentially on calories could lead to a whole lot of trouble. Calories matter for the most obvious reason. They are a measure of stored energy that the body can use to run its diverse activities, or for growth. That growth can be vertical, or horizontal. In an age of epidemic (or more correctly, now that high levels have become the norm, “hyperendemic”) childhood obesity, most of us have cause for concern about the growth of the horizontal variety- in our children and grandchildren, as well as ourselves. An excess of calories is what fuels that undesired growth of body fat and a better caloric balance would reliably defend against it. The problem with calorie posting is that it tells only a very small part of the relevant story. A small portion of junk food will have fewer calories than a large portion of junk food. But, obviously, both will still be junk. Junk is a bad choice both because no loving parent should sanction rubbish as the construction material for the growing body of a child and because junk food conspires against calorie control. Junk foods, notoriously, have been engineered to propagate appetite and maximize the calories it takes to feel full. So a given portion may be small, and its calories few; but that is not helpful over time if appetite is stimulated rather than satisfied. More calories are sure to follow. In contrast, some extremely nutritious and very satiating foods, such as nuts and nut butters, hummus, avocado, or even eggs- are potentially quite a bit higher in calories than competing choices. But that belies the actual implications of eating these foods. Wholesome foods, whatever their calorie content, deliver high-quality nutrition, and generally produce a lasting feeling of fullness. Evidence suggests, for example, that walnuts and other nuts, and nutrient-dense snack foods, may help control and reduce calorie intake over the course of the day despite their rather high-calorie content. For weight control over time, it is calorie intake over time- not at any one time- that truly matters. In the end, then, the answer to the question- “is calorie labeling helpful in the fight against childhood obesity?”- is the obvious one: it depends. It’s a bit like asking: is a hammer a useful tool? For driving a nail, definitely. For tying your shoes? Not so much. For playing the violin? A truly bad, noisy idea. If you focus on the overall nutritional quality of foods you choose for yourself and your family, calories are a useful consideration among the competing choices of comparable quality. If nothing else, calories will provide a useful reality check about reasonable portion sizes. If, however, you rely excessively on calories and ignore overall nutritional quality, you could easily wind up choosing smaller portions of junk in the place of a far better option with more calories. Over time, it is the quality of calories that most reliably help us, and our kids, manage quantity. If you wouldn’t offer your child a hammer to play the violin, be on guard against an analogous cacophony resulting from calorie posting. Information about calories is just a tool like any other; it can be used well, or badly. That part and resultant noise or music are entirely up to you.